Jesus Spoke Aramaic - step-by-step videos lessons to help you learn Aramaic. Discover the Bible in Aramaic and learn why Aramaic is revolutionizing and transforming the study of the Old and New Testaments. 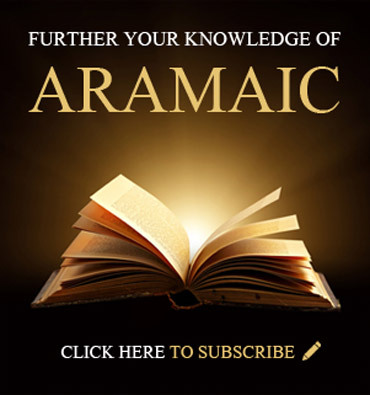 Discover all the amazing reasons Why You Should Subscribe to Jesus Spoke Aramaic TODAY! Aramaic was the language of the Assyrian and Babylonian Empires, and is Judaism's second Holy Language, alongside Hebrew. The Aramaic language became dominant amongst Jews after the Babylonian exile, and was spoken by Jesus and the disciples. By learning the Aramaic language and studying the Aramaic Bible, you will get back to more authentic and original roots of both the Old and New Testaments. Let Jesus Spoke Aramaic be your guide as you navigate the fascinating world of the Aramaic language, the Aramaic Bible, and better understand the Holy Scriptures. Browse some of the free sample video Lessons and Step-by-Step Courses that are available. Book onto our flagship Study Programs for the ultimate Aramaic experience that will strengthen your faith and change your life forever! Subscribe to Jesus Spoke Aramaic to benefit fully from the Aramaic experience and gain access to our massive library of OVER THREE HUNDRED video lessons, the extra Bonus Material, free downloads, and much more. Make sure you read the Top Reasons To Subscribe. Consider our Private Hebrew/Aramaic Coaching Program to help you learn Aramaic (and/or Hebrew!) faster than you ever imagined possible. 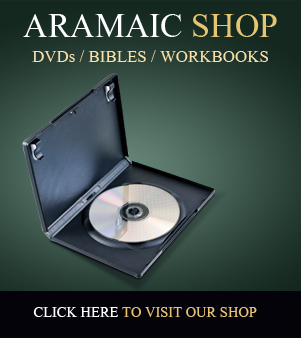 Browse the Aramaic Shop. You are sure to find something of interest! There is a growing collection of DVDs to help you learn Aramaic, Study Guides on passages from the Holy Bible, Audio CDs, Study Guides, Workbooks, books about Aramaic, Aramaic and Hebrew Bibles, and much more. If you want to learn even more Aramaic and/or Hebrew, take a look at External Hebrew/Aramaic Resources. 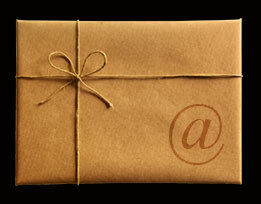 Sign up to our Aramaic Newsletter (opposite) to receive a free weekly Aramaic Newsletter by email. You will get video lessons, PDF downloads, Audio MP3s, book samples, Aramaic events & seminars, periodic special offers, and LOTS more. It’s free and it’s awesome! Enter your email address in the form opposite to sign up! We run a Jesus Spoke Aramaic Podcast, which is available on iTunes. Browse our Aramaic Events and find out what is happening in the Aramaic world. We often host Webinars, Seminars, Competitions and many other Live and interactive events. We host Live Webinars, discussing many topics relevant to Aramaic, Hebrew and Greek, and of interest to Bible students generally. 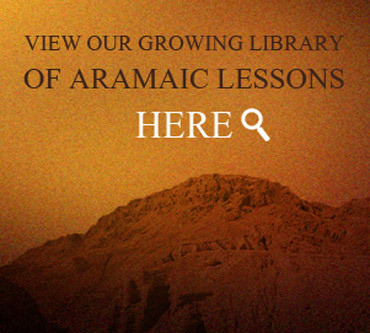 Unrestricted access to all of our lessons and resources about the Aramaic Bible, which are growing all the time. These fascinating audio-visual lessons on the Aramaic Bible give you an exciting, fun and vibrant way to learn about the Aramaic language down through the centuries. There are currently OVER THREE HUNDRED video lessons, with over SIX HUNDRED lessons planned in total, with more being added every month! Amazing lessons on the History & Background of the Aramaic language, to help you understand the context, significance and importance of the Aramaic Bible and the Aramaic Peshitta New Testament. Step-by-step Videos Lessons that literally walk you through every letter of the Aramaic Alphabet in the Ashuri, Estrangela, Serta and Swadaya scripts, showing you how to read and write each letter in turn, and how to pronounce it. Step-by-Step Courses that will walk you through the material systematically. Lessons on the Aramaic Bible suitable for all stages including beginner, intermediate and advanced Aramaic studies. Discover the amazing puns, plays on words and poetry of the Aramaic Peshitta New Testament, and find out why the Aramaic Peshitta New Testament resolves many problems, variant readings and inconsistencies in the Greek New Testament! Study our incredible series on Aramaic Word Studies, where you will gain many hundreds of fantastic insights into the texts of the Old and New Testaments, that only Aramaic brings! Read our wonderful Aramaic Bible Study Guides - on The Lord's Prayer, with more coming! Study our unique and world-renowned video lessons on the Aramaic Peshitta New Testament, Biblical Aramaic, the Aramaic Targums and the Aramaic Peshitta Old Testament. Fascinating lessons comparing the Hebrew and Aramaic languages, so if you know any Hebrew, you can leverage your existing knowledge to learn Aramaic even faster! Interactive forums on the Aramaic Bible, where you can discuss the Lessons and Resources in a community of like-minded students who are also interested in Aramaic. Participate in our polls and online quizzes, to test your growing understanding of the Aramaic language and the Aramaic Bible. 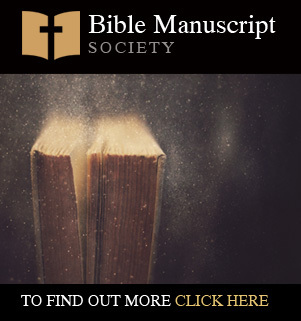 Exclusive Bonus material about Aramaic and the Bible, including several full-color PDF Hebrew Bibles, our special Partner Offers, and our unique collection of Rare and Out-of-Print Aramaic books - providing you with all the tools, grammars, lexicons and dictionaries you will ever need to study Aramaic! Did you know that Aramaic is still spoken by communities throughout the Middle East and the diaspora today? Learn Aramaic with the best - JesusSpokeAramaic.com! Jesus Spoke Aramaic is, by far, the biggest and best website on the Internet dedicated to the study of Aramaic in the context of the Holy Scriptures. 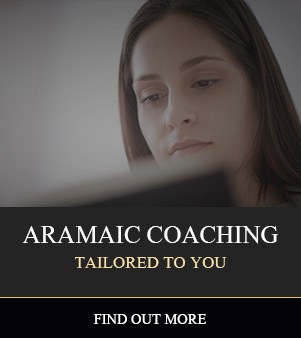 Jesus Spoke Aramaic will further your knowledge of the Aramaic language and the Aramaic Bible through our exciting video lessons, and help you get back to true, original and authentic Aramaic Biblical roots. Subscribe to Jesus Spoke Aramaic now. Make sure you take a look at our Top Reasons to Subscribe, and find out what awaits you once you have your own access to this incredible and unique website! !